With their jet-black coat, luxurious mane and tail, proud bearing and undeniable presence, Friesians are what fairytales are made of. Although renowned for radiating beauty, elegance and grace, this magnificent breed has a superb nature characterised by kindness, loyalty, intelligence and adaptability along with a tremendous work ethic. 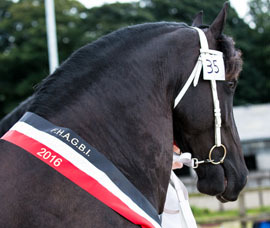 The Friesian Horse Association of Great Britain & Ireland (FHAGBI) is the official representative of the Koninklijke Vereninging "Het Friesch Paarden-Stamboek" (KFPS) in Great Britain & Ireland. 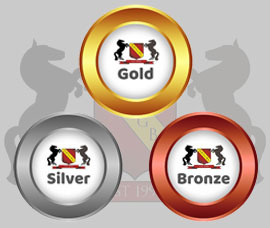 FHAGBI currently have three membership levels; Gold, Silver and Bronze, each with their own benefits. You can buy membership online right now. Click to find out more. Firstly, congratulations you have made a wonderful choice! If you have just purchased a Friesian, find out here how to update their passport and registration papers into your name. 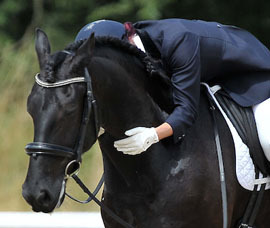 Thinking of buying a Friesian? FHAGBI's comprehensive buyer's guide will tell you all you need to know about this magnificent breed, advice, common pitfalls, importation options and what to consider before purchasing one. The KFPS has decided to implement new rules and guidelines for Inspections. Please visit the link below to view the full details on the KFPS website.